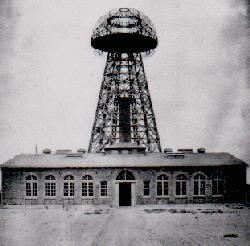 One of Tesla's Wireless Transmitters. Tesla's Long Island power plant with the Tower in the background. 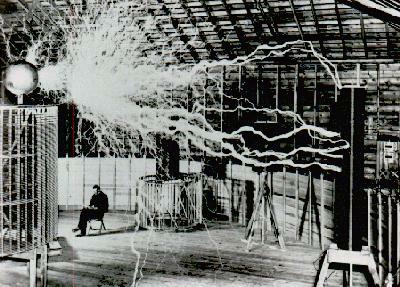 Tesla's Lab before it burned. 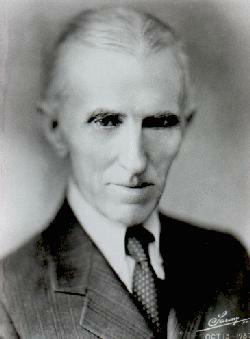 Tesla in front of one of his favorite flat spiral coils reading a passage by James Clerk Maxwell. 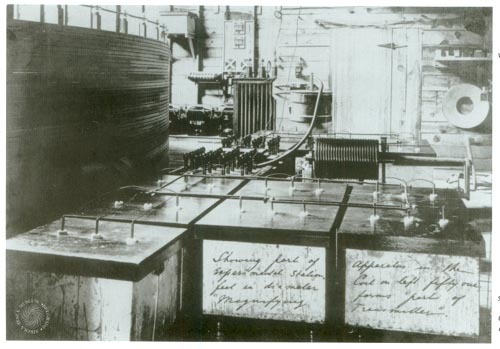 One of Tesla's first demonstration of a polyphase motor. 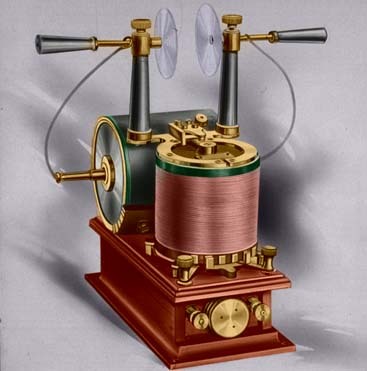 A cutaway demonstration of Tesla's early three phase motor. 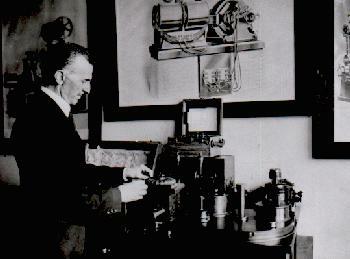 A neatly arranged presentation of Tesla's equipment in his Waldorf Astoria hotel room. You can think of this device as a hand-held radio controller for a drone or other remote controlled vehicle. 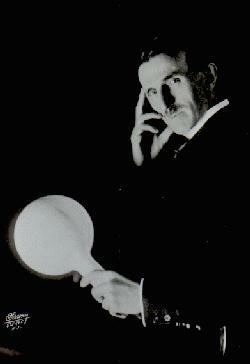 "The hand of Nikola Tesla, taken by his wonderful artificial daylight, just perfected. 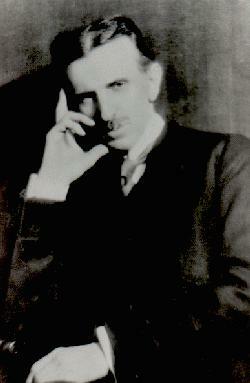 This is the first photograph made by the light of the future." 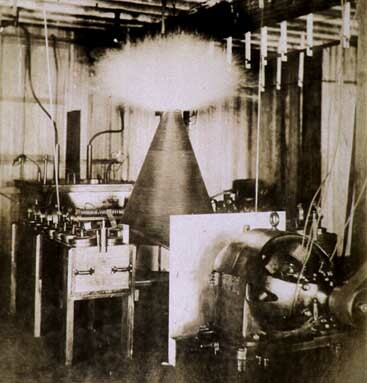 This was fluorescent lighting produced from an excited vacuum tube. 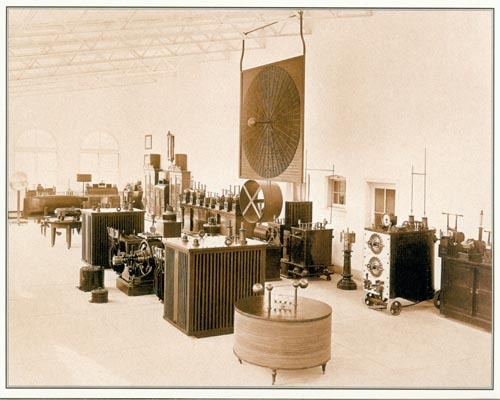 This is what Tesla's lab looked like before it was burned. 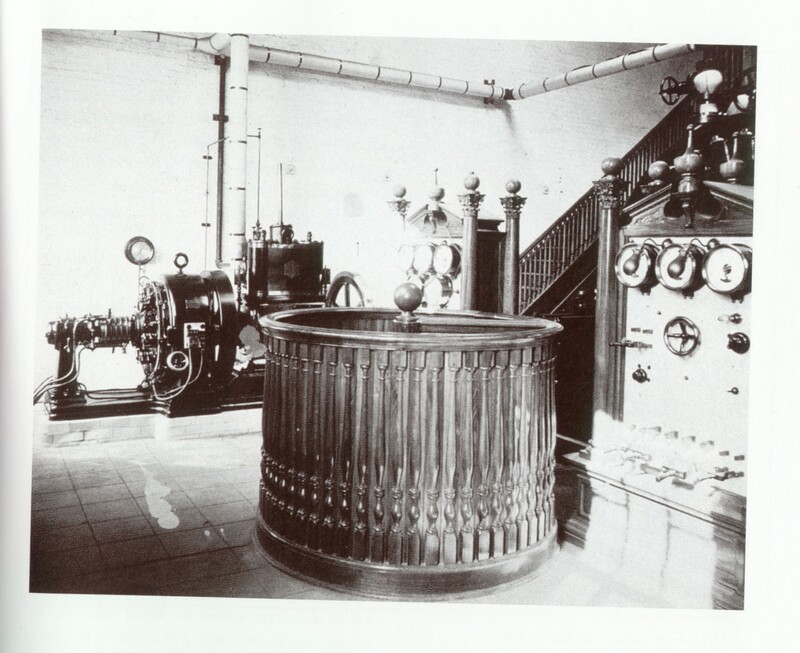 Notice the conical coil and its unusual output. 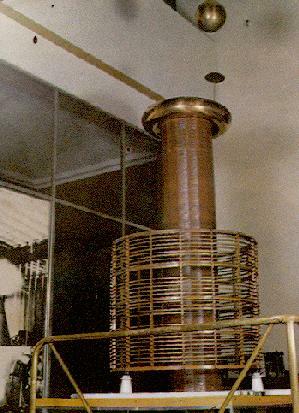 The Tesla Coil at Colorado Springs was enormous in size. 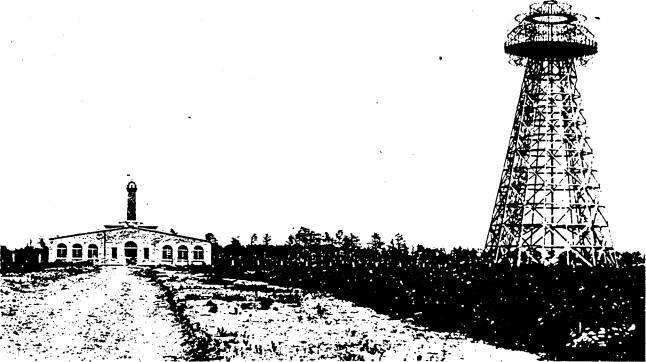 Tesla wanted to build a lab that was high in elevation and with rarefied air (lower air pressure) to see its effects on transmitting power around the planet. 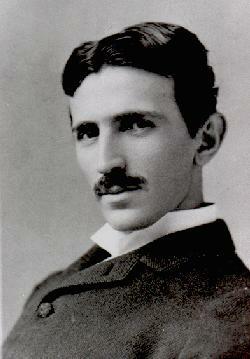 He also needed to be far away from populations in case large electrical discharges occurred, and in which they did. 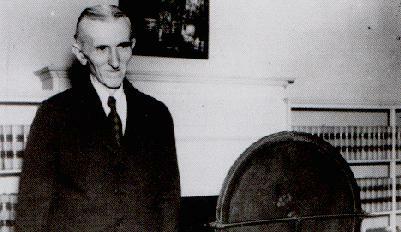 After his first lab was destroyed by fire (believed by many to be hired arsonists), Tesla opted to do his experimentation in his living quarters. 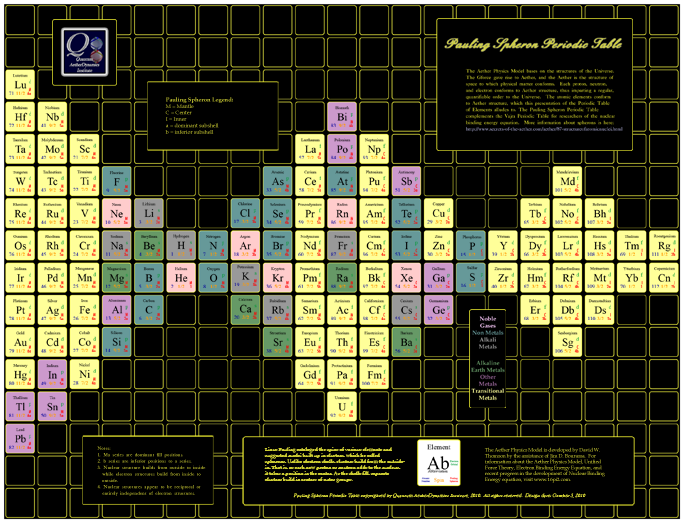 Here we see a wide range of power supplies and coils for various types of experiments. 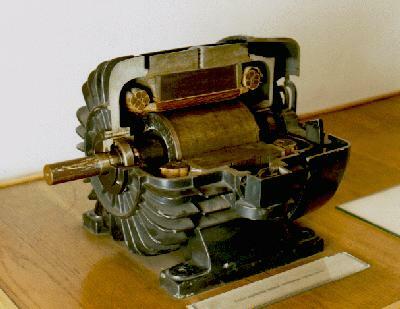 The outer coil is a three phase stator of a motor. 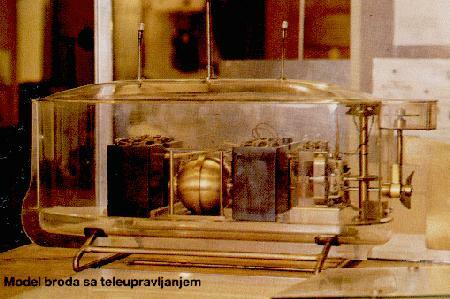 The egg-shaped copper ball on the concaved surface is the rotor. 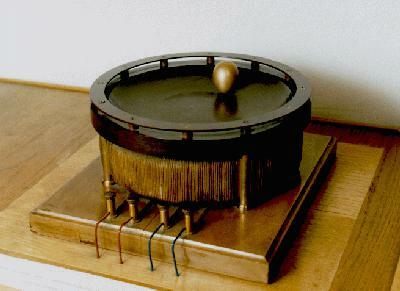 When multi phase power is applied to the stator, it generates a rotating magnetic field in the space around it. 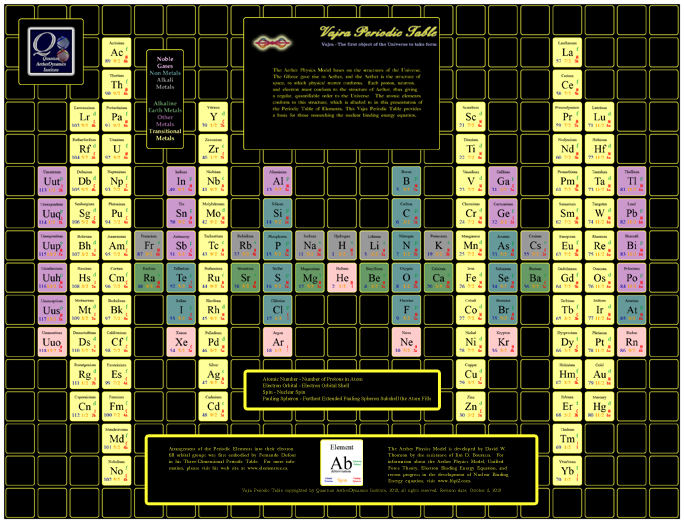 Through hysteresis, the rotating magnetic field transfers its rotation energy to the ball and makes it spin. 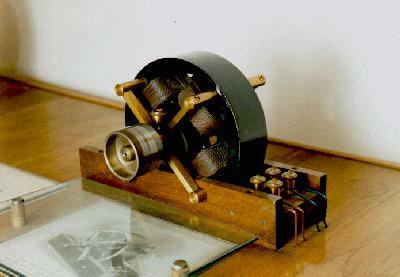 This coil was built to Tesla's specifications and used by him to investigate its properties. 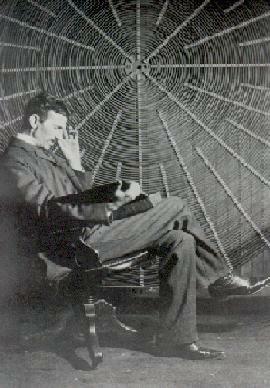 This famous photo of Nikola Tesla was taken with a slow shutter speed to make the streamers appear more dramatic.